The World Fantasy Lifetime Achiever and The Last Unicorn author settles into Oakland. Mention The Last Unicorn to anyone who came of age in the Eighties or Nineties, and chances are they'll think of the 1982 animated film voiced by Jeff Bridges, Mia Farrow, and many others; scored by (of all bands) America; and based on a 1968 novel by Peter S. Beagle that has since sold more than five million copies. 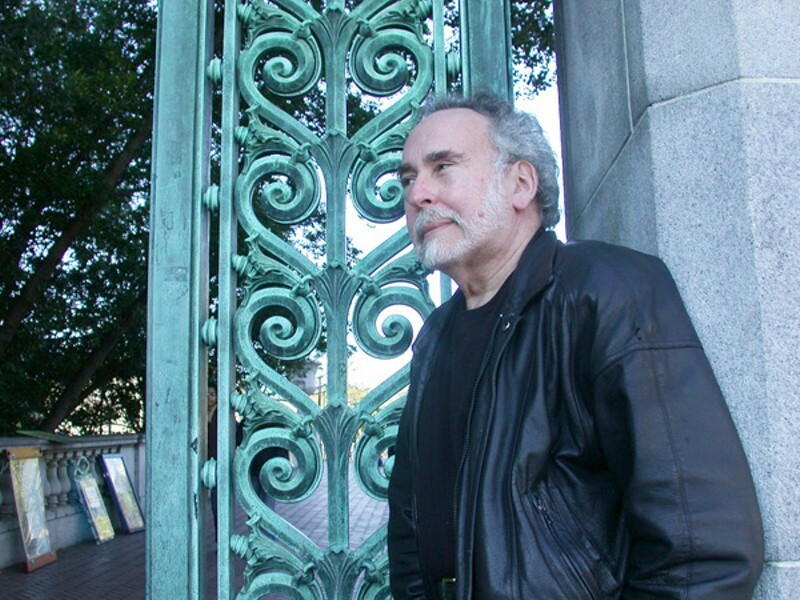 Now Oakland resident Beagle has been awarded the World Fantasy Lifetime Achievement award (part of the World Fantasy Awards), joining such staggering company as Ray Bradbury, Jorge Luis Borges, Roald Dahl, Stephen King, and Ursula K. Le Guin. Back when he published his first novel, A Fine and Private Place, in 1960, Beagle "had no notion of how the fantasy field was going to develop," he said, "or how I fit into it." Though he loved science fiction and fantasy, that first novel and his first well-known story were "both well within the accepted bounds of mainstream fiction at the time they were published." It wasn't until The Last Unicorn "that the literary world decided I was a 'fantasy writer' instead of a writer who sometimes worked with the fantastic, and relegated me to what was then still a kind of ghetto." Fantasy, of course, is no longer a ghetto: Series like Harry Potter and His Dark Materials are mainstream phenomena, and writers of literary fiction regularly toe the line between sci-fi/fantasy and the more respectable magical realist genre. The fantasy category itself has splintered, well, fantastically, into subgenres that take some serious parsing, as discovered by Beagle himself when he set out to co-edit the new Urban Fantasy Anthology, published this fall by Tachyon Press. The anthology — which includes stories and essays by Neil Gaiman, Francesca Lia Block, Patricia Briggs, and Charles de Lint — is divided into three sections, representing the three major veins of urban fantasy writing. Said Beagle, "It was kind of a crash course in everything that had gone down in fantasy while I wasn't looking." While he hasn't been looking, he's certainly been writing, publishing more than twenty books since 1960: novels, short story and photo essay collections, poetry, young adult fiction. Currently he's working on no fewer than seven. And he's been getting to know his new digs as a resident — though he's only lived here since 2001, Beagle has loved the East Bay since his days as a Wallace Stegner Fellow at Stanford. "I was immediately comfortable with the goofiness, with the music, with the political passions, with everything about the place. I wanted to live here, but for various reasons it took 41 years for that to happen." Beagle cites Barclay's Restaurant and Pub, the Oakland and Berkeley libraries, The Other Change of Hobbit, "and the Coliseum because it's the Oakland A's baseball park" as favorite spots. "And let's not forget all the great side streets with their beautiful gardens — no one ever mentions how many gardens there are in Berkeley, and in the Oakland hills."